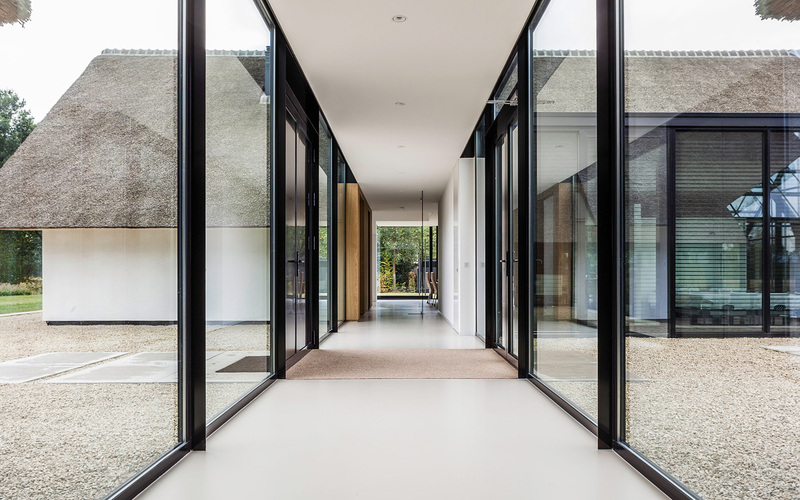 Maas Architecten has completed a modern villa in the Dutch countryside. 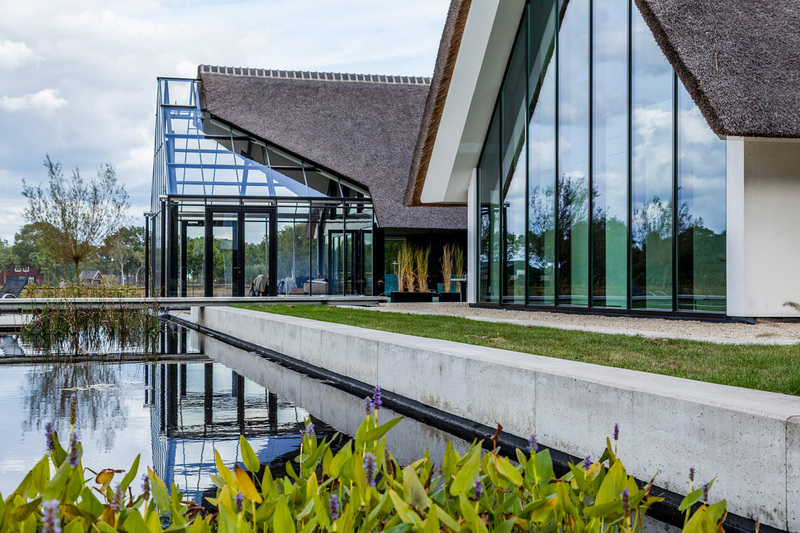 It was designed by Lochem-based Maas Architecten for a site on the edge of the town of Berlicum in the Dutch province of North Brabant. 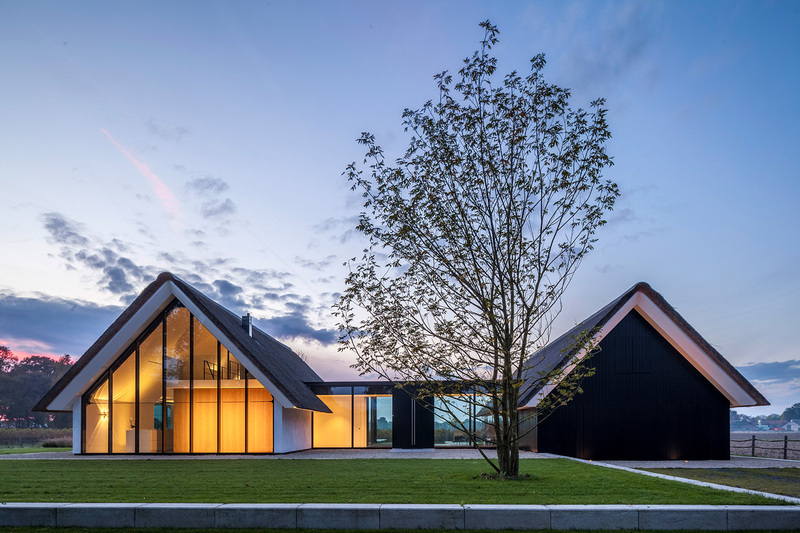 Called Modern Countryside Villa, it is located in an open countryside and is designed as a H-shape with two contrasting wings – one is a dark timber-clad volume, while the other is a transparent glass structure. 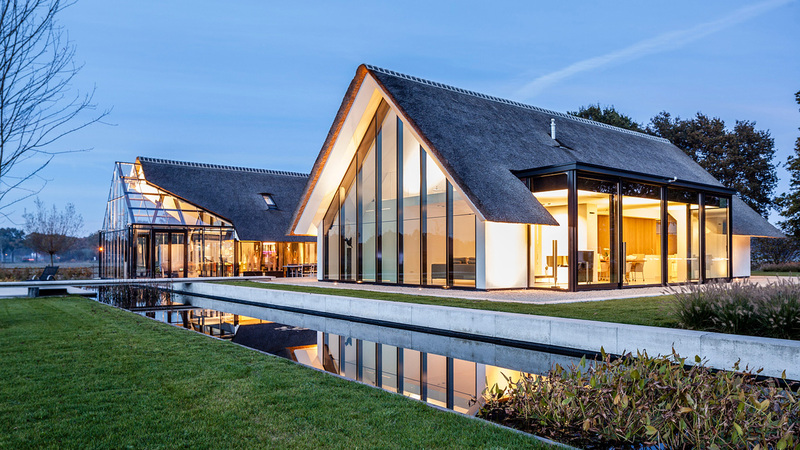 The almost transparent spacer, that connects the two thatched-volumes, forms the entrance. At the street side, the villa is sheltered by a grove. The main building, the left volume, is almost entirely made of glass. The living area and dining place are situated on the south-west and offer a panoramic view. Behind the glass facing the street, the kitchen, pantry and toilet are located. These function are combined in a wooden box. The master bedroom is completely private to the north. The façade of the right volume is made out of wood with some blinds. At the back of this volume a greenhouse is located, which also can be used as atelier/studio. 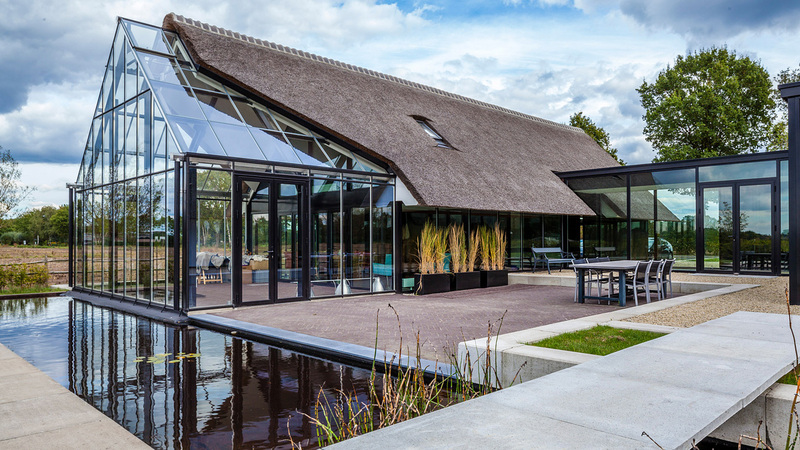 The H-shape creates a windless private outdoor space where you can see the sun set. Privacy is assured in spite of the glass. And, of course, this modern villa has a private swimming pool.